A man driving an ambulance set off a massive bomb in Kabul, Afghanistan, on Saturday, killing at least 95 people and injuring at least 158 in one of the deadliest attacks in the violence-scarred country in years. The Taliban claimed responsibility for the attack. With many of the wounded in critical condition, the death toll is likely to rise. The driver was reportedly able to pass through an initial security checkpoint by claiming he was transporting a patient. As authorities attempted to stop the vehicle, he set off the bomb at a second checkpoint, killing himself in the process. 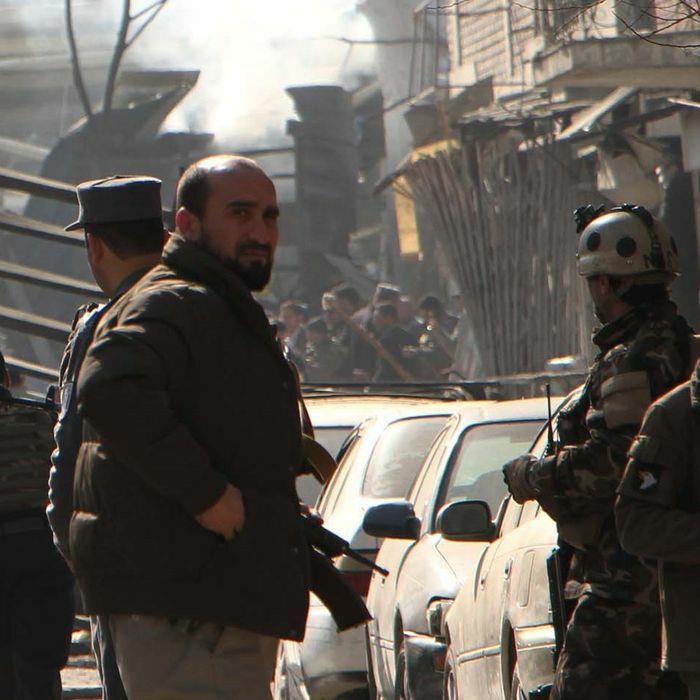 The attack took place on a street that leads to the country’s old Interior Ministry, as well as several embassies. It destroyed many nearby shops. It’s the second high-profile attack by the Taliban in recent days. On January 20, a group of gunmen stormed the InterContinental Hotel and engaged in a 12-hour standoff with police. Twenty-two people were killed, including several foreigners. And last week, ISIS gunmen attacked an office of the charity Save the Children, killing five.